Every mass shooting has one thing in common: a gun. We must take action to keep guns out of the hands of mass shooters. Click “Make This Pledge” above to show your support for Everytown for Gun Safety and help stop these tragedies. You can pledge to donate as little as $0.10 to support the Everytown for Gun Safety Support Fund whenever there is a mass shooting in the US. 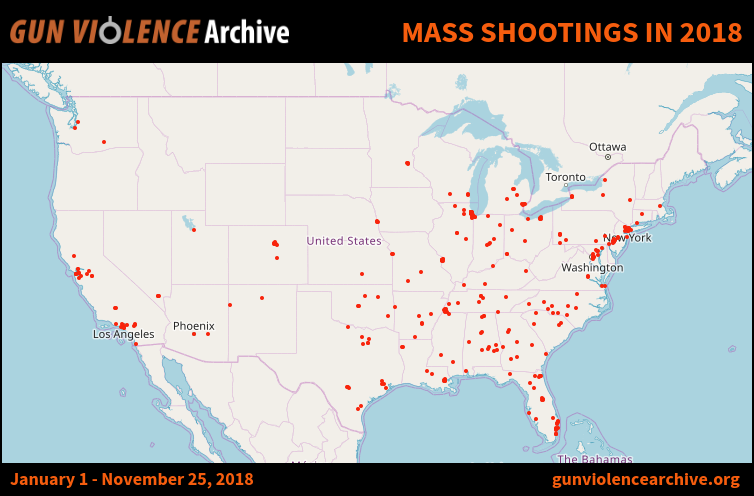 Gun violence touches every town in America. For too long, change has been thwarted by the Washington gun lobby and by leaders who refuse to take common-sense steps that will save lives. But something is changing. More than 5 million mayors, moms, cops, teachers, survivors, gun owners, and everyday Americans have come together to make their own communities safer. Together, we are fighting for the changes that we know will save lives. Every day, 96 Americans are killed with guns. The gun homicide rate in the U.S. is 25 times higher than that of other developed countries, but research shows that common-sense public safety laws can reduce gun violence and save lives. 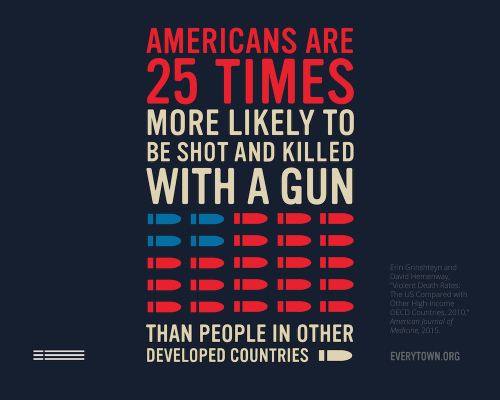 Everytown for Gun Safety Support Fund is an independent, non-partisan 501c3 organization dedicated to understanding and reducing gun violence in America. Click “Make This Pledge” above to show your support for Everytown for Gun Safety and help stop these tragedies. You can pledge to donate as little as $0.10 to support the Everytown for Gun Safety Support Fund whenever there is a mass shooting in the US.